Unfortunately, many students are born with learning disabilities that make it difficult for them to retain knowledge. This can be frustrating for even the most patient teachers. Fortunately, there are special education teachers who specialize in teaching children with learning disabilities. 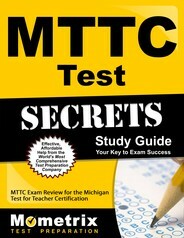 In order for these educators to teach students in Michigan, they must pass the MTTC Learning Disabilities Exam. The MTTC Learning Disabilities Test is multiple-choice, consisting of 100 questions. You can opt for a computer or paper version of the test. No matter which format you choose, you must score 220 or higher to pass. The exam covers four subareas. The largest focus is on teaching and modifying curricula for students with learning disabilities, with 44% of the test focusing on this topic. The other subareas are understanding students with learning disabilities, assessing students and developing individualized programs, and working in the professional environment. Within these subareas are various topics you will be tested on, including manifestations of learning disabilities, growth and development of those with learning disabilities, types of disabilities, factors that affect development and learning, uses and side effects of medications, receptive and expressive language, types of disorders associated with learning disabilities, types of assessment instruments and methods, addressing individual strengths and learning needs, interpretation and communication of assessment results, developing and implementing individual plans and programs, and planning and managing the learning environment. The test also covers use of technology in the classroom, methods of individualizing instruction, promotion of language and reading skills, strategies for promoting literacy, promotion of writing skills, mathematical performance, social competence, effective behavioral interventions, functional living skills, communication and collaboration with students and families, establishing partnerships with schools and the community, historical and social foundations of education, ethical and legal roles, and professionalism in the work environment. Prep yourself for success by taking the MTTC Learning Disabilities Practice Test. 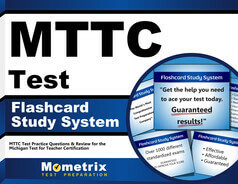 This free study tool is offered by the Mometrix Test Prep Team to help you feel relaxed and confident on test day. You’ll know what to expect while gauging your strengths and weaknesses. Make your study time even more efficient by using the MTTC Learning Disabilities Test. This handy study aid offers a test outline and helpful study tips so you know what topics you need to study without having to play guessing games. You can focus on specific areas and pass the exam with ease.